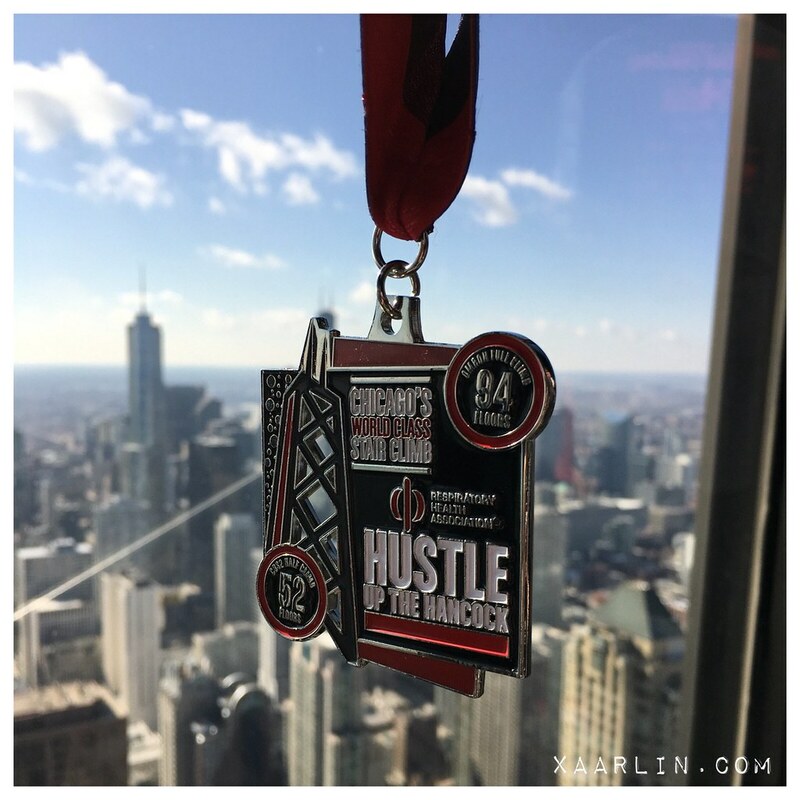 On February 25, I completed the Hustle up the Hancock/875! My work sponsored a team, so I was excited to tackle this challenge (especially since it was free and for a good cause)! But in all seriousness, I was pumped for this because it forced me to incorporate stairs into my weekly mix of workouts which are great for Boston’s hillz. For the 1.5 months leading up to the race, i added stairs and extra jump squats after my speed work, tempo and long runs because those are my “hard” days. 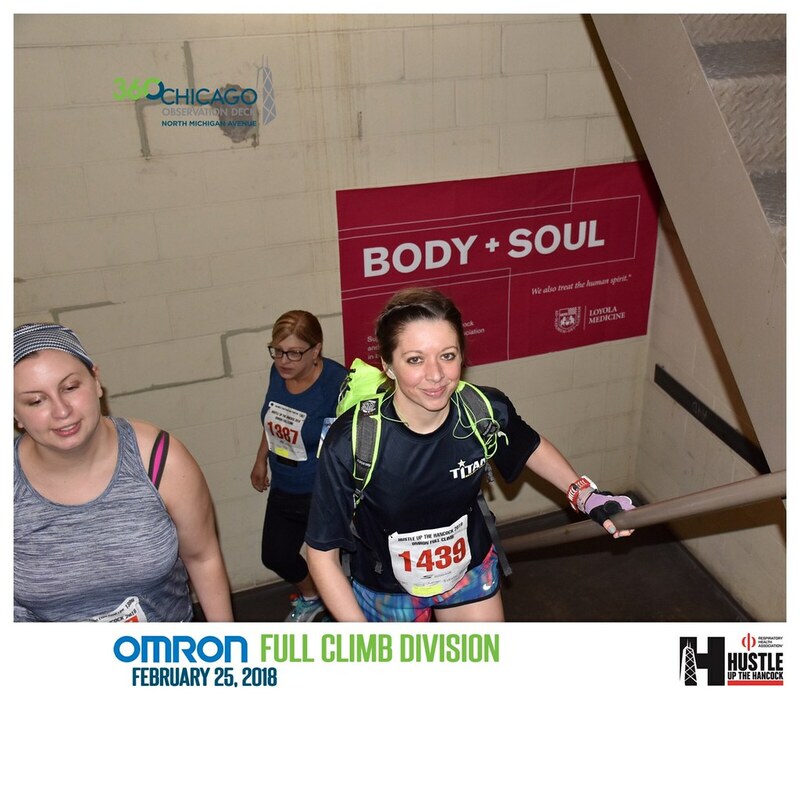 I wanted to give the stair climb a decent effort and not feel like crap. Race morning I woke up early and ran 10 miles because that’s totally normal. I would have ran 15, but didn’t wake up early enough. Boston training doesn’t stop for Hustling up the Hancock. My coworkers thought I was nuts. 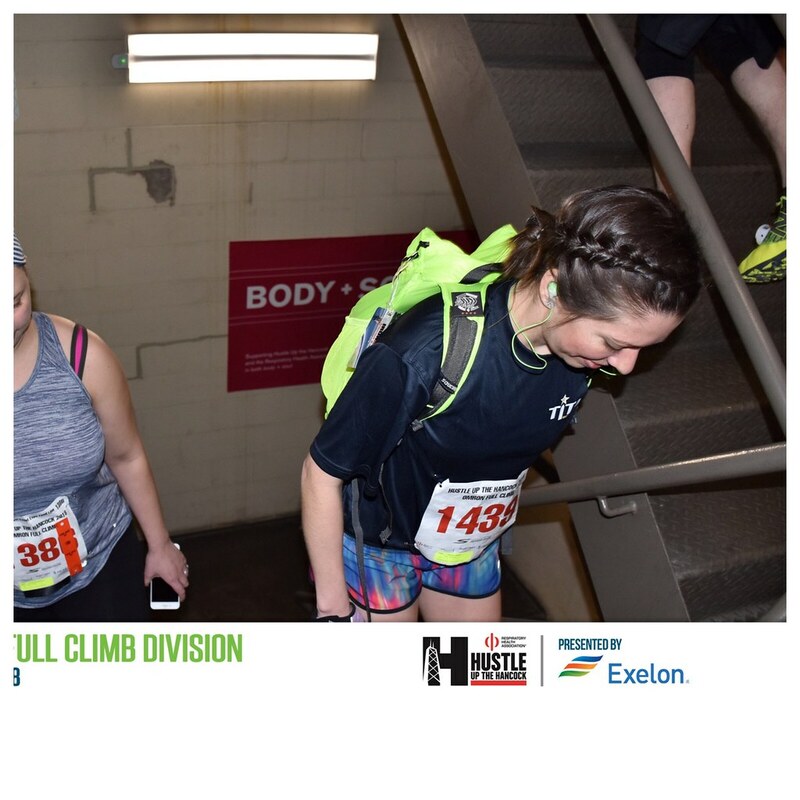 I was all “it’s different muscles to run than to stair climb” lolz. I met my team in the lower level and took our group photo before getting in line for our wave. 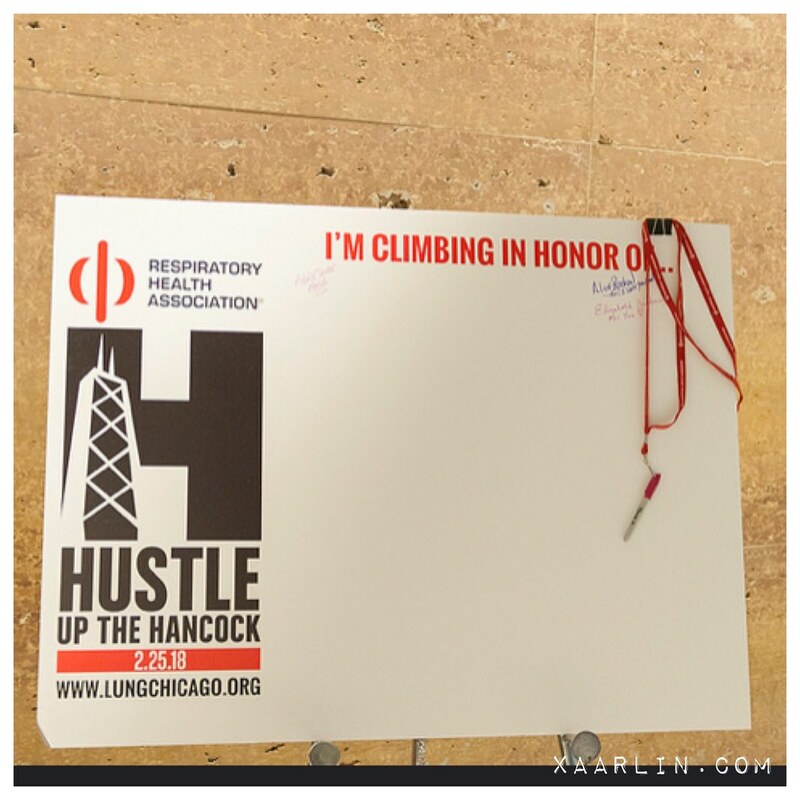 As we inched our way towards the start, there were boards to write comments- like “i do this because” or “I participate for...” its a huge fundraiser for the respiratory health association. I wrote on the one that said “in memory of...” I wrote “my grandmother” with a heart around it. My grandmother was a lifelong smoker and suffered from lung health issues (among other things) until her death in 2002. I wondered if the stairwells would be crowded, but realized they start participants every 8 seconds- which hopefully would space folks out enough. 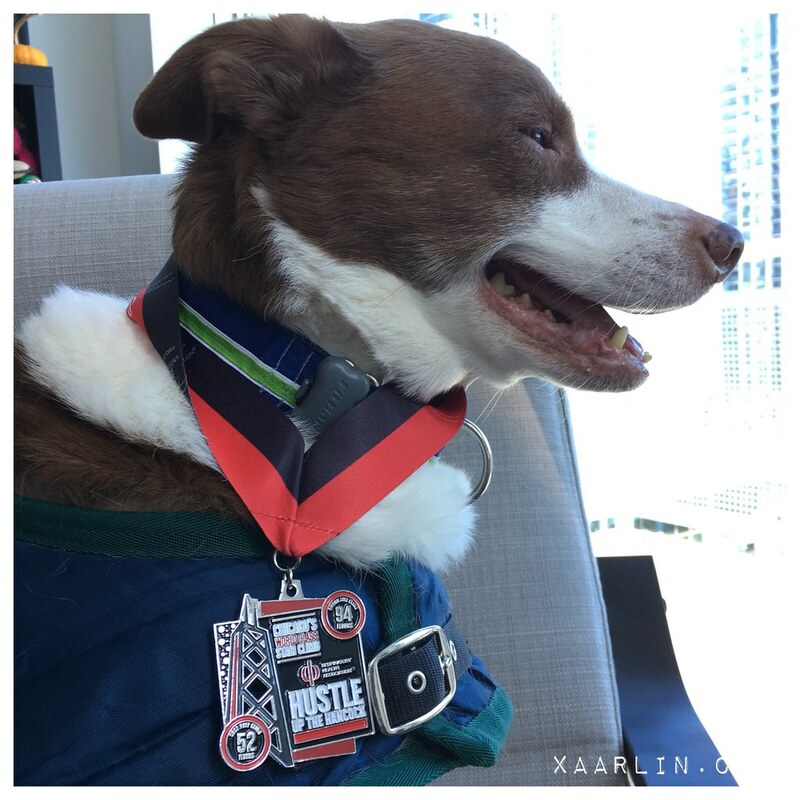 After discussing with our CFO that he should go first (I knew he’d fly up the stairs) I went second for our team. I got up 2 flights of stairs before I realized I hadn’t turned on my iPod. Derp. After fighting with my headphones, I was ready to roll. One of my other coworkers flew by me around floor 4- I was convinced I would pass him a few floors later. I just decided to keep a very steady effort. No double steps, just a brisk walking pace. Within a few floors, my heart rate was though the roof (like a 5k effort) and I just kept my head down to avoid seeing what floor I was on and subsequently doing the math to determine how many floors of the 94 I had left. I got to the first aid station and was shocked it was only floor 16. I ended up passing 25-30 people in the stairwell. Many folks would take breaks in the landings. I just kept chugging along. The worst stretch was 30-60. It felt like the climb was taking a long time and would never end. The last 30 floors seemed to pass by super quick. Maybe I got a second wind? 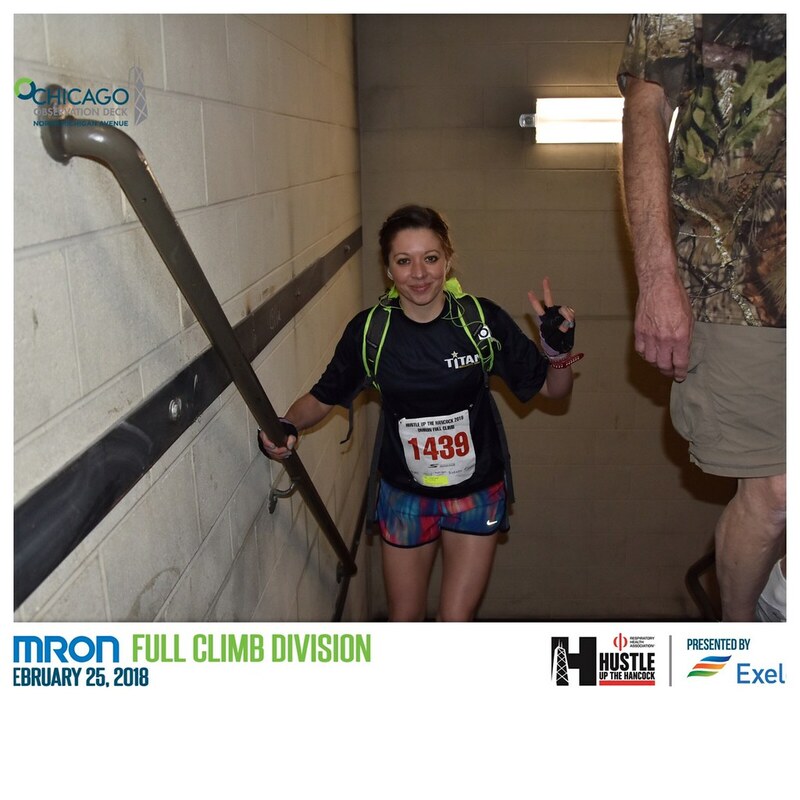 I never went anaerobic, but was definitely feeling the effects of climbing 94 flights. 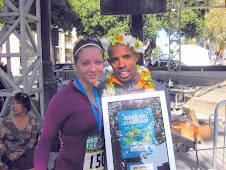 I was so happy to see the finish! I gave my coworkers a high 5 who finished before me. Our CFO had the best time on our team, a few min later was the guy that passed me early on. 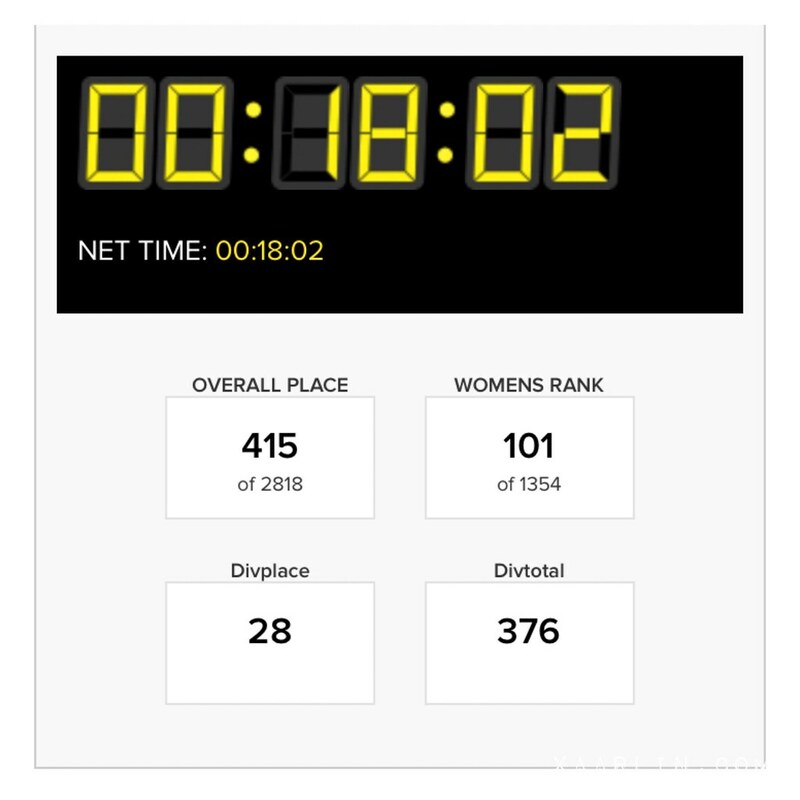 I had the 3rd best time on our team and was super happy with my time. 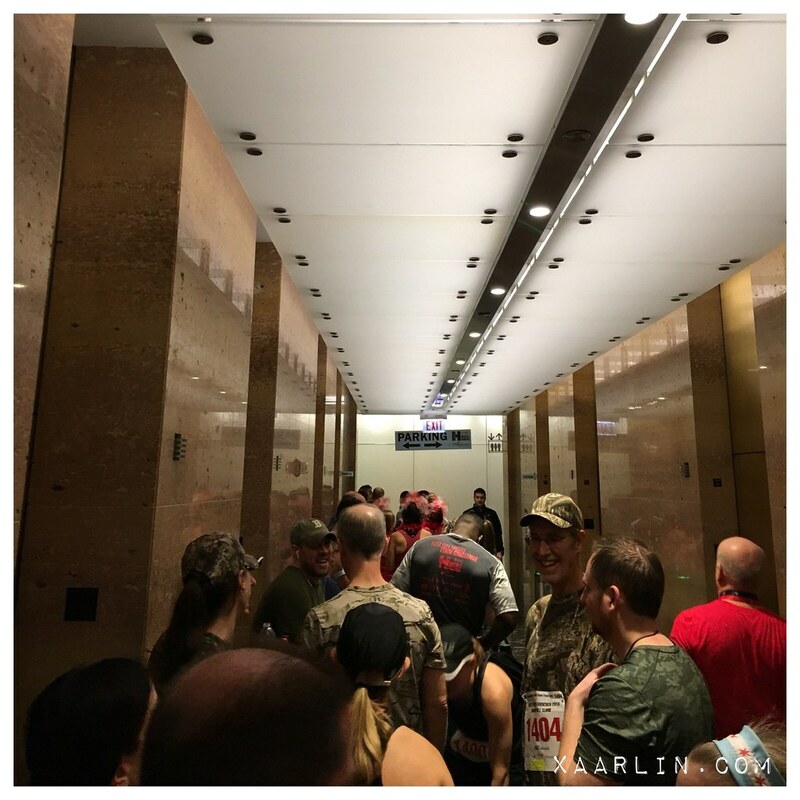 We cheered in our remaining teammates before taking the freight elevator back down. I feel like I executed the race perfectly! I felt super dehydrated later on in the day despite drinking a bunch of water. It was such a fun event and I hope I can do it again next year! When I looked up my results I saw I was 415th overall- and (just in my last post how I don’t believe in luck, superstitions, fairies, whatever) that is significant because April 15 was my grandmothers birthday. Serendipity. No water during the 18 minute journey. The stair training I did absolutely helped me feel good for this event- as well as not taking off fast. Wow! That 415th placement is a crazy coincidence! That is a really good idea with wearing the gloves!!! 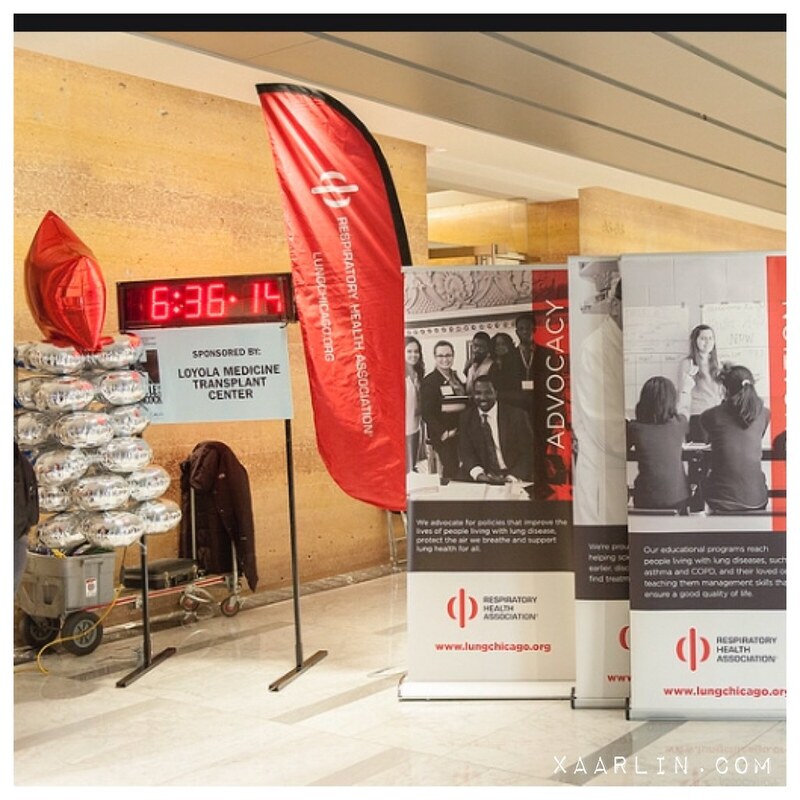 I think it's awesome your work sponsored this and you had a team, and did it! Stair climbs seem intimidating (I get winded going up one flight!) but like with anything else, you train, and you do it :) Doesn't seem odd to me to run 10 (or 15!) miles before! Nice job to finish third despite having run a 10 miler beforehand! I would like to do one of these someday. Nice job! 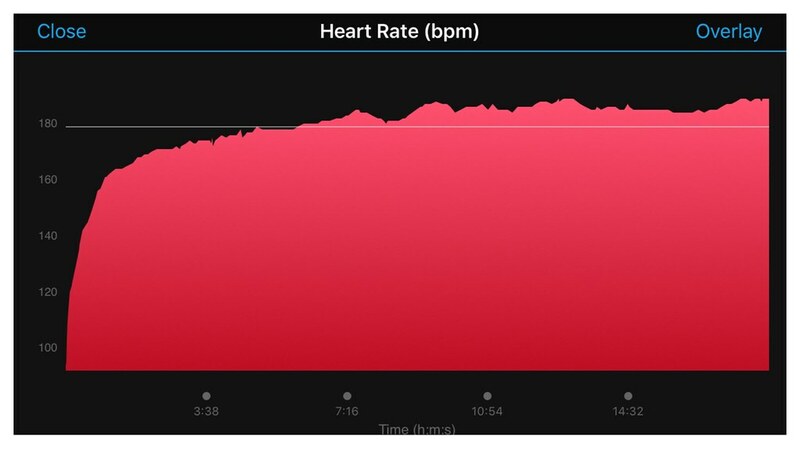 I like your pacing strategy of just staying steady -- that heart rate though! How did your legs feel the next day? 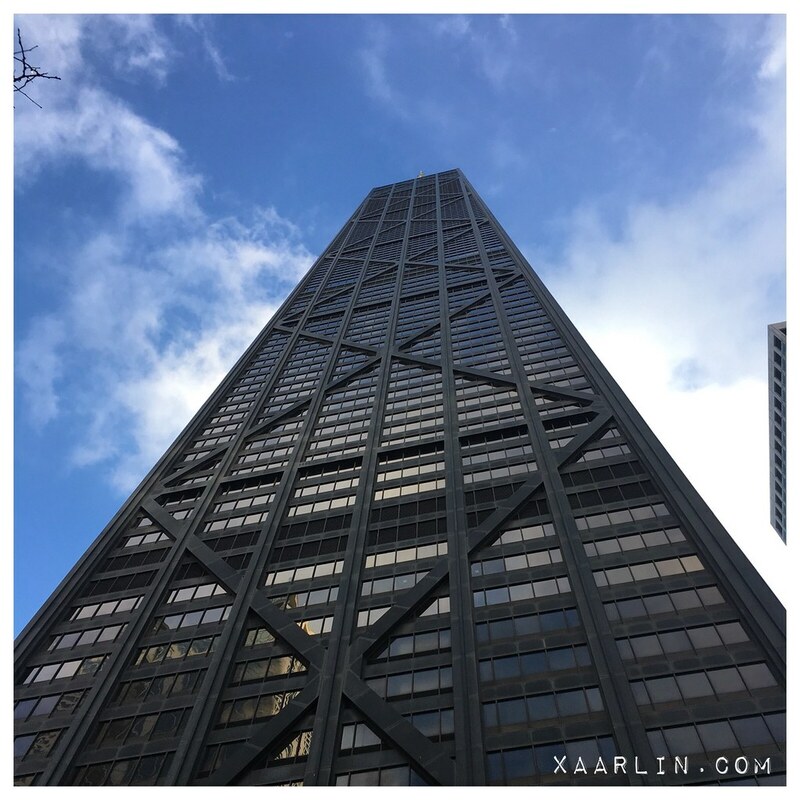 I can't wrap my head around climbing that entire building in just 18 minutes! Sometimes I feel like it takes me that long to get from the basement to the second floor when I take laundry upstairs, and I'm completely exhausted and winded from just that. All of this to say, DAMN! Nice job!!!! I'm glad you had such a fun experience with this, and that you were able to do something to honor your Grandma in the process. 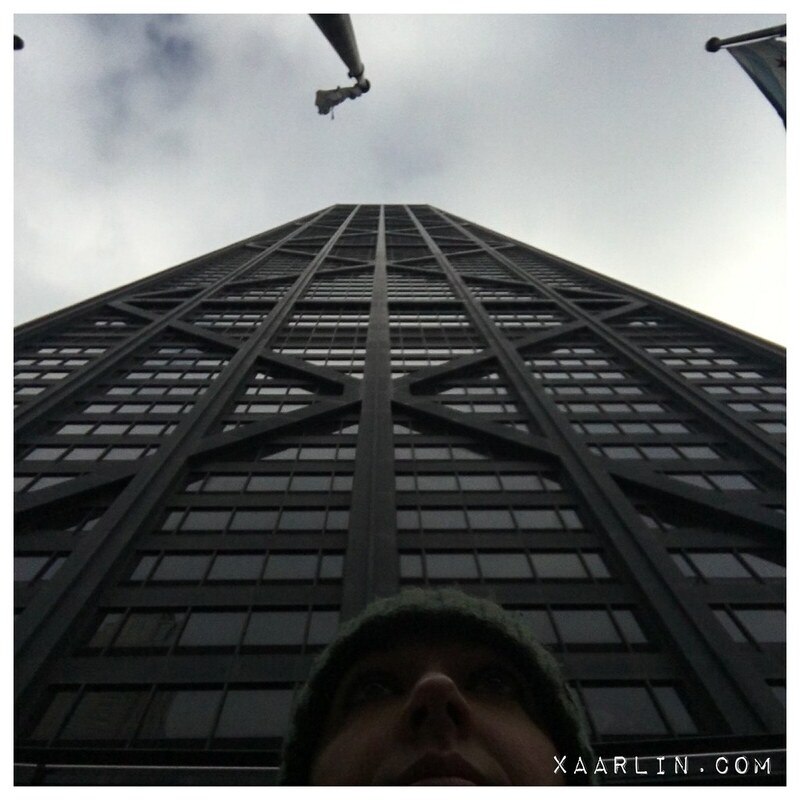 Wow, 94 floors in 18 minutes! That seems crazy. I get winded walking up to the 4th floor at work.